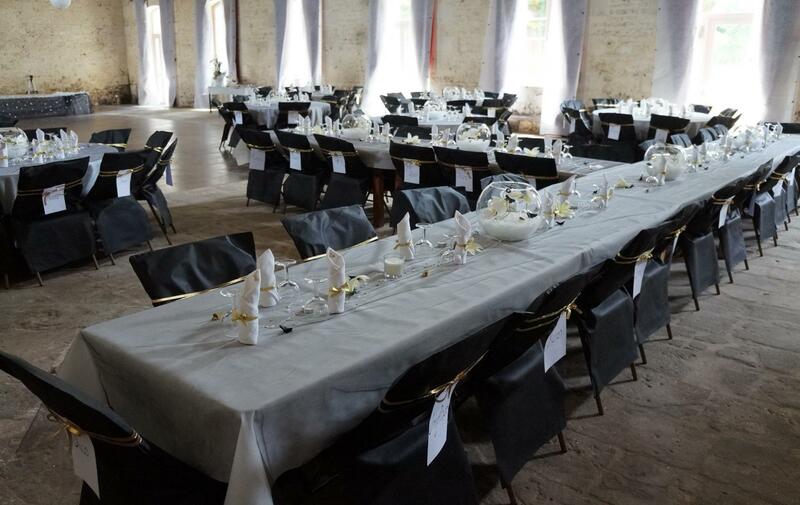 The organization of a unique event deserves an equally special place! Just a few minutes from the town of Saintes, the Domaine des Chais is this unique, timeless place. 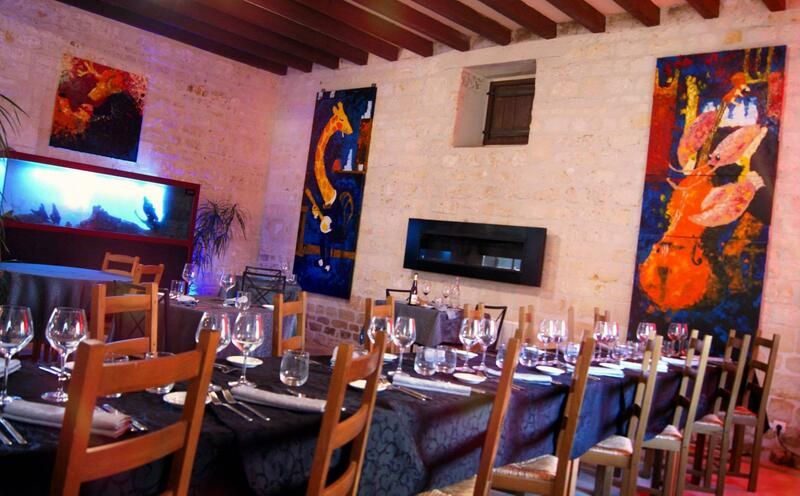 Here everything is done to accompany you in the success of your business or private events. 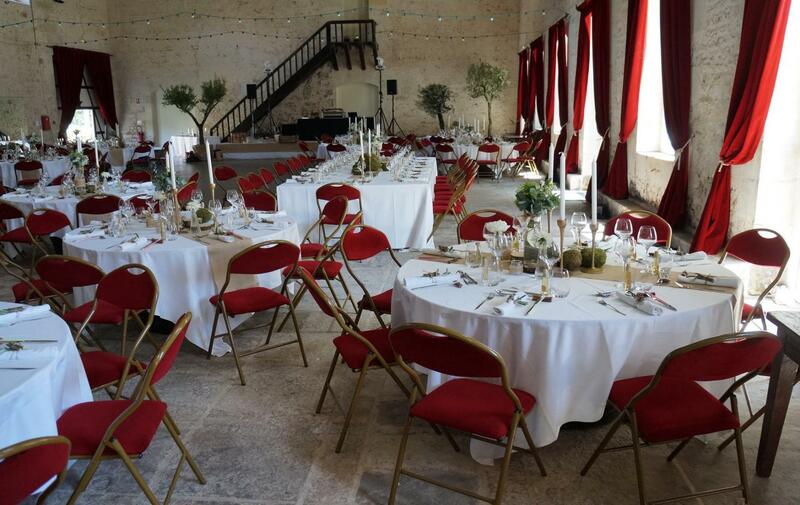 Our unique property, a former barracks and stables of Napoleon majestically transformed into a boutique hotel, lends itself admirably for banquets, receptions and seminars. Our 3 rooms of ​​4500 m² meet all the needs for a wedding, birthday, baptism or communion In fine weather, our majestic canopy that unfolds in the courtyard facing the fountain is the perfect setting for cocktails and wines aperitifs, and the pool area for pleasant lunches or dinners can accommodate up to 30 people. Essential to the success of your event, we guarantee high quality services provided by a professional, efficient and available team. Do not worry, we take care of everything and can also propose accommodation for your guests who will not have to worry about driving home after a beautiful evening! In addition to our six hotel rooms, we also propose 3 3 cottages and a dormitory with a capacity of 40 people, the total we can accommodate is 72 guests. 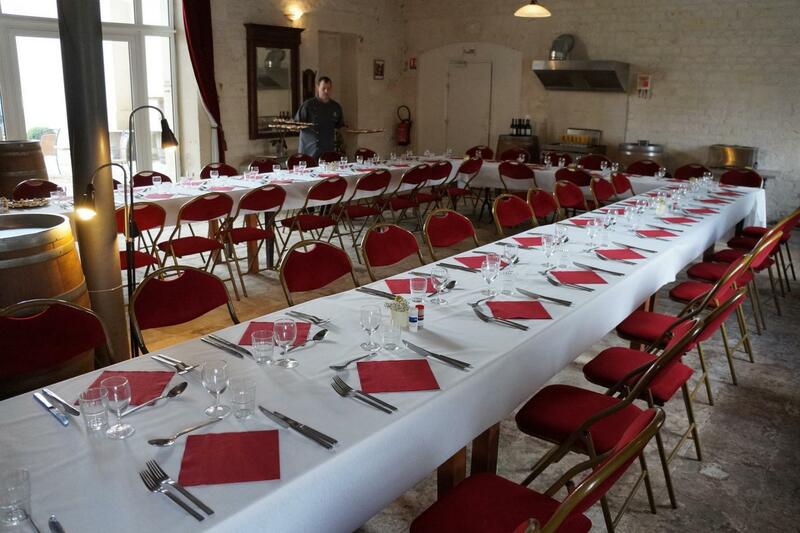 Perfect for entertaining up to 50 seated people.